Design Innovation uses state of the art technology to put you in control of every aspect of your home, including lighting, audio, TV’s, heating, blinds and curtains. Working with home owners, builders, architects, M & E consultants and property developers we bring together products from many different manufacturers to enhance your home and lifestyle. Our service can include full design and specification, installation and commissioning, whether it’s just one room, one aspect of technology or the complete house. We ensure all our systems blend seamlessly with your home or lifestyle no matter how old or new your home is. We provide Comfort, Enjoyment, and Safety through Technology. Our highly trained team perform work in Luxury Homes and Modern Commercial Buildings. Geek-tech was established in 2009 by current Director Kristopher Stokes to offer the highest quality, state-of- the-art-technology and home automation to private residential and commercial smart homes and buildings. Our staff have worked for some of the most recognised companies in the market. Building upon this experience, we pride ourselves of encouraging our designers, engineers and support staff to push the boundaries of technology and customer expectations. With this in mind all of our staff undergo continual training and development and are qualified to advise you on the best solutions for your needs. 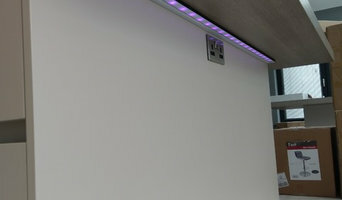 With a strong foundation in electrical engineering and with over 20 years Combined Eexperience in the professional sound, lighting and audio visual control, Kristopher recognised the need for a company that could offer a complete solution encompassing all aspects of technology for smart homes and commercial building controls. Geek-tech employs a team of professional qualified engineers who pride themselves on professional installations that excel the clients needs to provide quality home automation in uk and Europe. Geek-tech currently work for leading politicians, famous entertainers and leading members of financial institutions. As you would expect, discretion is paramount and we take our clients privacy and enjoyment of the latest technology very seriously. Veritais specialises in four main product categories – audio-visual entertainment and web access, lighting control, room/cabin control and surveillance – seamlessly integrating any or all of these areas into a single, functional and intuitive system. Veritais is not tied to any single product manufacturer and so brings the very best of breed into all areas of our systems and installations. Veritais understands the need to look at each project with fresh eyes, in order to fully appreciate the unique environmental and functional demands that come with any bespoke installation, whatever its scale. Our products and systems are designed to meet the most demanding standards and to provide reliable, intuitive and functional systems that will deliver years of enjoyment. From the initial concept, product selection and integration with other onboard systems, through to final installation, Veritais delivers the latest in cutting-edge technology and design practice. Here at Stuart Westmoreland's we believe in creating the perfect audio and visual environment customised to your expectations and requirements. That may mean you have a new house being built that you would like wired for sound in each room at the touch of a button, or you have a spare room you'd like converting to your own personal cinema with full lighting control. So whether it's audio, video, networking, lighting or CCTV integration you are looking for, we can install the right system into your home in such a way that guests may not even know it is there until you turn it on. Home iq specialise in simple, intuitive and easy to use whole home automation systems, control your home locally and away with simplicity, if your looking to renovate or build your new home then we can help. From a simple plasma installation, to the grandest of home cinemas, our systems deliver the finest picture and sound quality available. We have installed many multi-room systems and home cinemas in a diverse range of the most elegant properties in the country, and we know a homeiq installation will bring you years of watching and listening pleasure. Many of our clients like to house their AV equipment inside a cupboard / cabinet located remotely so that it is out sight. The problem is that you can't control these items as the infra-red remote control signals cannot get inside solid objects or go around corners - homeiq can design and install an InfraRed network allowing control over all TV-Video-Audio-CCTV equipment no matter where it is housed. We now offer full control via Ipad/iphone and other popular tablets of all the devices that go together to make your home cinema run smoothly, this replaces all your other remotes and has macro functions, ie, press the "Watch DVD" button and sit back in your chair as the Plasma TV switches over to the correct DVD input, the DVD player turns on, the Home Cinema turns on and to the correct pre-set volume and finally....the lighting dims. Here at Serenity, we focus on communications technology. Not simply between two people on the telephone, but also between you and the world around you. Utilising many years of experience within the I.T. 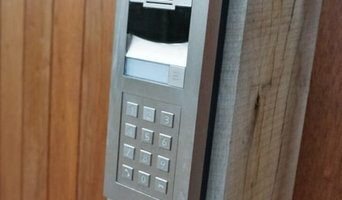 and Communications sector, Serenity are proud to announce our partnership with Control4, which allows our team the ability to utilise a modern, robust and easy to use automation platform to improve the way in which our customers can communicate with their home and office, audio, video, heating, lighting, door entry and access control systems, as easily as they can communicate with each other. What else can Nottingham, Nottinghamshire home automation companies do for me? Aside from the (now fairly widespread) smart thermostats that can be controlled remotely, Nottingham, Nottinghamshire home automation specialists can install your home with all sorts of technology and media products to help your home become as efficient and accommodating as possible. Not only can your heating be monitored and controlled using smart technology, but so can your other utilities and bills. Energy monitors tell you how much power you are using and timed or remote controlled adapters allow you to reduce the amount of electricity you use by making sure you only have items switched on when necessary. What home entertainment can Nottingham, Nottinghamshire smart home installers install? Home automation and smart technology is not just about making your home more energy efficient and secure, there’s also some fun to be had. Home media and home cinema installers in Nottingham, Nottinghamshire can kit out your home with the latest technology such as smart TVs, media streaming devices, speaker systems and smart home assistants. 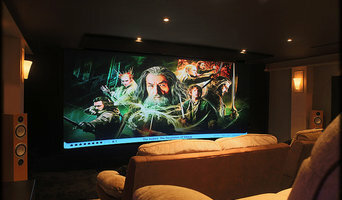 If you’re after the full home cinema experience, Nottingham, Nottinghamshire home cinema specialists not only can design the seating and decor for your dream home cinema, but most of them can help you find specific media control options, conceal your television and various accessories, set up optimal seating, choose and install ideal lighting, and help create the ultimate viewing environment. Find a home automation company or home cinema installer on Houzz. Narrow your search in the Professionals section of the website to Nottingham, Nottinghamshire home automation companies and home cinema specialists. You can also look through Nottingham, Nottinghamshire photos by style to find a media or technology installation you like, then contact the professional who designed it.